Property owners who want long-lasting beauty and protection, reduced energy costs, and higher market value when it's time to sell will appreciate the quality of materials and craftsmanship offered by Reyes Roofing Contractors, LLC. 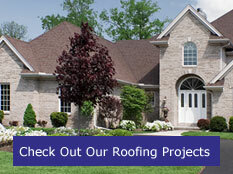 Reyes Roofing Contractors, LLC provides quality roofing systems for your home. All deliver high performance year after year.